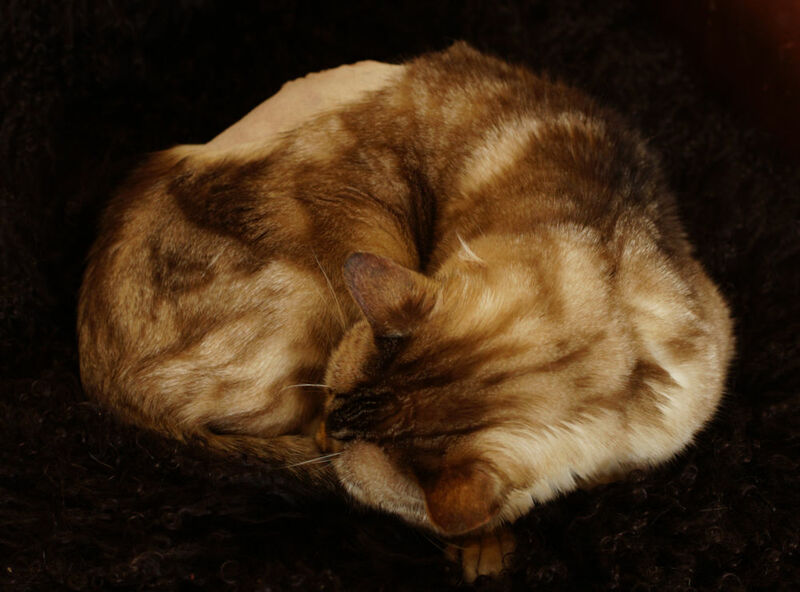 Yama Bungle developed a lump on his back, which tested as a benign but potentially growing tumour. 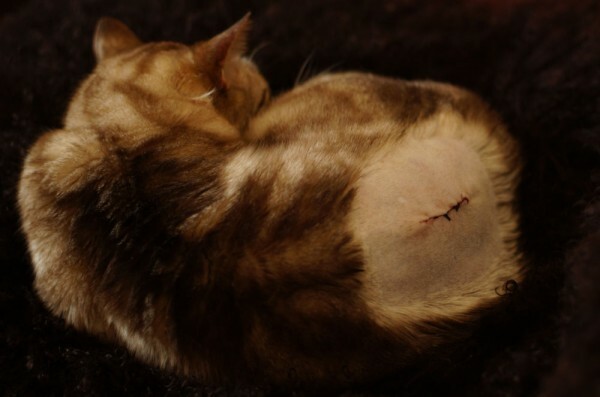 So we decided it would be best to get it removed, and he went in for the operation yesterday. We steeled ourselves afterwards, and did not take the cone off his head until the next morning. But he was so distressed by it, I caved this morning and took it off. I honestly don't think he slept all night with it on, and surely he's not going to heal well if he doesn't sleep? I think it was hard for him to drink too. And he hasn't so far shown any inclination to nibble his stitches, so as long as he doesn't (and surely, SURELY he can't reach them?) it's all good. He's been asleep pretty much non-stop since I took the cone off, supporting my theory that he spent the previous night bumping around the place, poor little chap. Wishing your sweet boy a speedy recovery. Poor little bloke. I can't blame you for removing the cone. I removed Bennett's a couple of days after his operation last December, since it was making him thrash around miserably. Unlike Bungle, he probably could have gotten at his stitches, but he had to wear a small blue compression t-shirt that covered them nicely. I wish Yama Bungle a speedy recovery! It should be OK. I hope that he recovers quickly. Mine lick each other's stitches, so there's really no point in the cone. We used to get that when we had six cats, as we had three bonded pairs. But sadly now they are all old, we have lost one-half of each pair and the remaining three have become to some extent enemies grumpily sharing a house: they tend not to get that close! Those photos were taken in fairly low light. When it's brighter, light will pick out metallic golden flecks in his fur. Apparently the technical term for this in the Bengal cat community (when referring to a snow-coloured Bengal like Yamamayaa) is "pearl dust". Poor kitty! I hope he recovers quickly and you don't need to resort to the cone again.